Cities must constantly manage the delay and congestion caused by construction on their roads. On top of minimizing delay, this is also responsible for improving driver and worker safety within these work zones. SMATS allows cities and traffic managers to measure travel times in construction zones, then efficiently manage them using Bluetooth and Wi-Fi sensor technology. 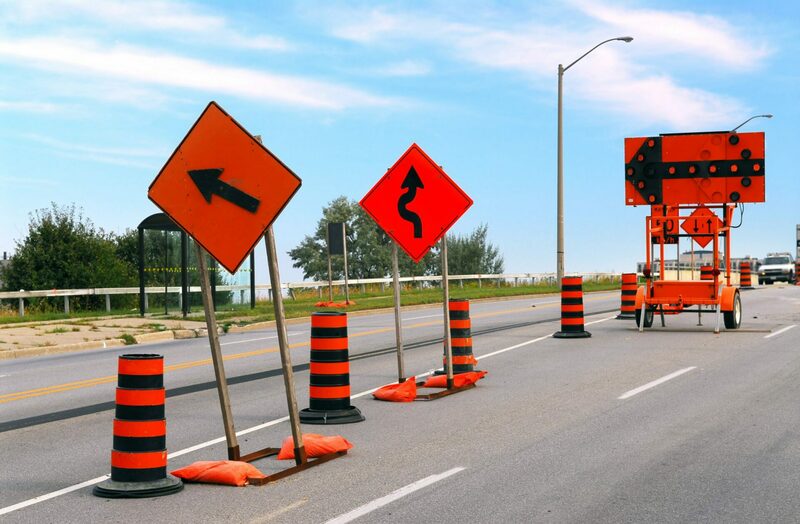 To manage work zone delay, SMATS sensors can be placed at the beginning and end of construction zones as well as at several midpoints within it. With the delay and travel time data, clients can measure the impact of the construction on traffic flow and use this to inform travelers. Real-time data collections are used to send out automatic messages to variable message signs (VMS) to possibly diverge drivers to alternative routes, resulting in active and autonomous management over the flow of traffic.